What exactly is patella femoral syndrome and how does it manifest? In order to understand what patella femoral syndrome is, it is necessary to know that patella is actually a term for the small bone that is a part of the kneecap, which has the purpose to absorb the shock. Patella femoral syndrome is a medical term for any kind of damage to this cartilage, whether it is due to injury, overuse, or some other reason, and it is particularly common among athletes and people who are physically active. The condition in question is also known as patella femoral compression syndrome, and the most common symptom through which it manifests is pain in the area around the kneecap. The pain tends to increase when kneeling, sitting for a long time with a knee bent, and particularly when going up or downstairs. What might also be present is a grinding sensation when extending the knee, and if these symptoms persist for more than a few days, it is highly recommended to visit a doctor. 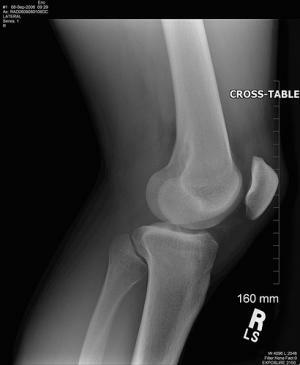 What causes patella femoral syndrome and can it be treated? The treatment depends on the cause, which is why it is necessary to determine why the condition occurred in the first place. Besides various injuries and traumas to the kneecap, overuse and repetitive stress on the knee joint, as well as misaligned bones may provoke patella femoral pain. Misaligned bones may also refer to the bones in the foot, not only bones in the knee. Resting the knee is the most common suggestion to the people with patella femoral syndrome, which implies avoiding activities that might induce the pain. Pain relievers are also allowed if needed, and the same goes for NSAIDs. What a physical therapist might suggest includes wearing supportive braces that help in protecting the joint and improving the alignment of the kneecap, icing or taping the knee to reduce the pain, or particular exercises that help in strengthening the muscles of knees. However, this also depends on the cause of the pain. Very rarely this condition requires some surgery, and it is usually in cases when none of the mentioned measures gives any positive results. The procedures that could be helpful in cases of patella femur syndrome are arthroscopy and realignment. Arthroscopy consists of removing the fragments of the cartilage that is damaged with the help of an arthroscope, while realignment is suggested only in very severe cases, in which the angle of the kneecap needs to be realigned so that the pressure on the cartilage would be relieved. What Is Arthroscopy With Lateral Release? Anyone here tried BAREFOOT SCIENCE ? do they work ? Comments and reviews on article "Nail Patella syndrome"
Prevalence of 48,XXYY Syndrome by population? Are there signs for Femoral neck fracture?